1. What has God been doing in my part: in my church’s life and its outreach in service and evangelism;or in the life of my district, diocese, or communion in the US or worldwide church; or in interchurch or interfaith activities? What message am I getting about it? Try beginning with: I believe God is . . . .
2. 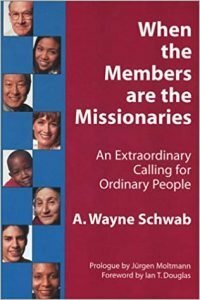 As I think about God’s message, what is my vision or goal for how I want to participate in my church’s life and outreach? 5. What specifically will I do or continue to do to make my vision or goal a reality and when will I do it? Limit yourself to just one action. This is or will be your mission in your church’s life and outreach.